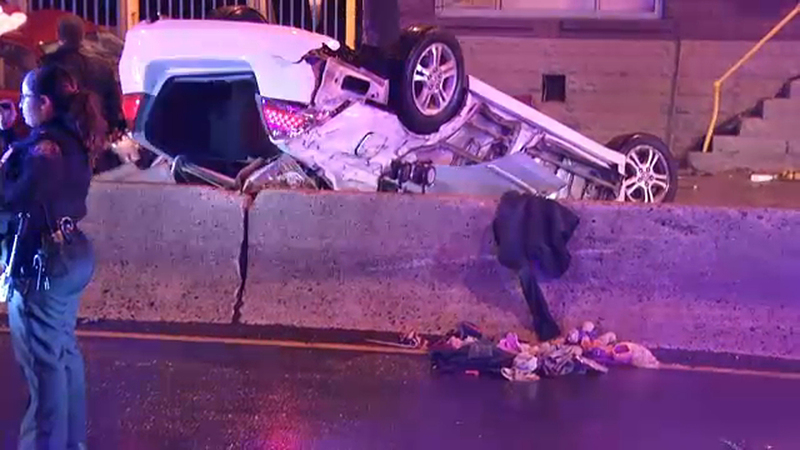 JERSEY CITY, New Jersey (WABC) -- Jersey City police have identified the victims of the deadly two-car crash that occurred Sunday morning. The two victims are 25-year-old Mario Guevera and 24-year-old Heather Acosta, both from Union City. They were pronounced dead at the scene. Both were passengers in the rear seat of one of the cars. The drivers and front-seat passengers of both cars were taken to Jersey City Medical Center for treatment of non-life threatening injuries, according to police. Video from the scene showed both cars completely totaled with one of them flipped upside down. The accident happened at about 3 a.m. on Tonnelle Avenue between North Street and Manhattan Avenue. The investigation into the circumstances of the crash is ongoing. Anyone with information is asked to contact law enforcement at 201-915-1345.